Situated in the northern end of Aviemore, Vermont Guest House is ideally situated. Just a few minutes walk from Aviemore Centre, variety of shops, pubs & restaurants. Only a short bus\car ride to the Cairngorm Mountains or Inverness. An excellently located Guest House, offering great value for money. Ensuite & Standard rooms available. All prices include breakfast, free wifi and private parking. Our goal is to ensure ALL our guests have a comfortable, enjoyable stay. Private off street car parking is available, making the Vermont Guesthouse is an ideal base for touring Scotland or just a short break to discover the delights of the Highlands. 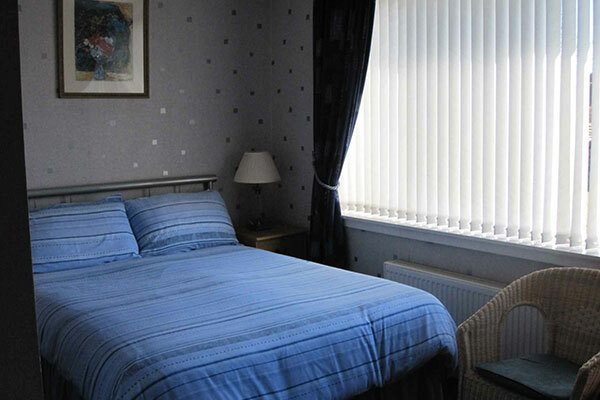 We have spacious comfortable En-Suite rooms with Tea & Coffee making facilities. Please let us know your time of arrival. Check in times 4pm till 9pm. Any arrivals out with these times must be arranged. Please call 01479810470. Children 14 years and over are catered for. Sorry we do not cater for Hen/Stag parties. We do not have facilities for babies or toddlers. Cancellations policy……. Please be advised to take out Travel insurance to cover costs. When you book with us be advised you are entering a contract and costs must be covered. Cancellations will be charged for first night unless we have 14 days notice this will be deducted from your card. Full booking cost can be taken anytime after booking. Early departures are charged at full booking cost. No shows will be charged full cost. CairnGorm Mountain is home to the UK’s highest funicular railway and offers a range of activities such as guided walking and mountain biking. Find out more! Enjoy a great family day out in the Highlands Wildest Visitor Attraction. From Polar Bears and Snow leopards to Amur Tigers, Scottish wildcats and Capercaillie Highland Wildlife Park. We also Cater for vegetarian options or special diets if ordered in advance. We will do our best to accommodate any requests. Nice location on main road in Aviemore. Our host Ellen was very cheerful and informative. Room was a reasonable size with ensuite and very clean. Breakfast was the full Scottish or part there of as well as continental if preferred. Off street parking was also available. Only a short walk to shops and restaurants. Would recommend to others as we enjoyed our stay. Nice place, Ellen the host is very welcoming and approachable, the accommodation warm, good breakfast and very conveniently located. Ellen also allowed us access to the boiler cupboard to aid drying kit, very helpful. Will use again. Did you enjoy your visit? Let us know..